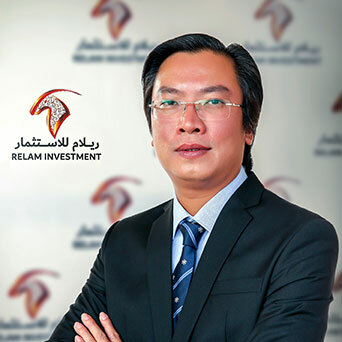 Mr. Phuong is the Vice Chairman of Relam Investment and MIG Holdings and the CEO of MIG Consultant & Investment Management Joint Stock Corporation. Prior to co-founding MIG Holdings, Mr. Phuong has led successfully many complex projects at Vietnam Industrial Securities Vietnam, Commodity Exchange, Vietnam Industrial Securities; Company Brokerage and Network Development Department, Corporate Finance Department in the area of Finance, Banking, Property Management, Brokerage, and Network Development. Fluent in Vietnamese and English, Mr. Phuong is excellent in communication and interpersonal skills, PHUONG is able to identify business opportunities and build long-term relationships with prospects in order to increase company revenue and sustainability. Mr. Phuong has a Ph.D. in Business Administration and Master of Finance from HCM City University – School of Banking and Bachelor of Laws, HCMC University of Banking - School of Banking, Bachelor of Economics, Master of Finance, Doctor of Business Administration, and Bachelor of Laws.